YouTube received an update last night to v5.7.36 that includes one major new feature – video quality playback. In the past, YouTube on mobile would only allow you to toggle between standard and high quality streams, but with the new update, you can manually choose anything from 144p up to 720p. An Auto mode exists as well, just like it does on the web, so assuming your connection is proper, I would imagine that it will default to 720p. 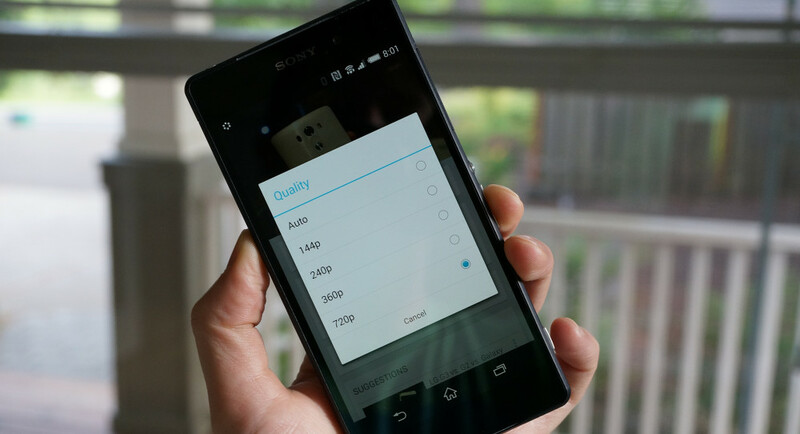 There are also options for 240p and 360p.